Fall is in the air… Well almost. September is here and we are just around the corner from fall. We should start to get some relief from the summer’s heat and see water temperatures fall. Usually, September means gearing up for one of Tampa Bay’s most revered species, Mr. Snook…Not likely this year. Most likely it will be catch and release only. No need to worry, Tampa Bay fishing charters this time of year offers plenty of catch and release options. If filling the cooler is your thing, you have options too. 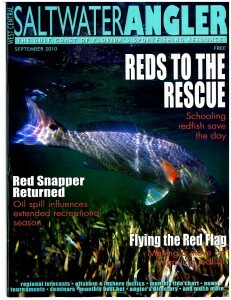 It’s that time of year for the Tampa Bay redfish. We will see some pre-spawn schools feeding to prepare for the spawn. Spawning season usually runs in the Tampa Bay area from August through November with this month being the peak of the season. It’s not likely that the past winter freeze will have an effect on the timing, but keep that in mind. If your spot held fish last year and not this year, check back in a couple weeks. They might be late. I prefer cut bait over live bait. A cut threadfin, sardine, pinfish or ladyfish will be hard to turn down. If all else fails, go to the old trusty shrimp. I fish a 25lb Trilene fluorocarbon leader with a 1/0 Daiichicircle hook. The Tampa Bay fishing in our region from the Kitchen to Joe Island will hold redfish. Tampa Bay fishing charters have had some very nice days catching redfish. Tampa fishing charters for trout has been one of the best years I have seen in a long time. Last month was another good month, and I am looking forward to it continuing through the year. With water temperatures hovering around 90, continue to fish any grass flat in the 4ft-7ft range with good tidal movement and a good source of bait. As temperatures fall, move to some of the shallow flats with good potholes and depth changes. Trout aren’t picky eaters. They will take almost anything. Scaled sardines (green backs) are my go to bait. I fish a 24” 25lb Trilene fluorocarbon leader with a #1 Daiichi circle hook under a weighted cork. The weighted cork will help get the casting distance with lighter baits. If artificial is your game, top water plugs like the Zara Spook or Mirrolure She Dog are good for an early bite. As temperatures rise, I like Berkley Gulp! Shrimp and D.O.A Cal Shad. Snook season was set to open September 1st but the FWC has extended the emergency closure through September 17th. They will be holding a meeting in Pensacola Beach at the beginning of the month to review all of the information and then decide whether to reopen the harvest. I have had discussions with other captains and anglers about the closure and the consensus is to keep season closed, maybe through the next spawning season. Our region got hit hard and these fish need time to recover. Our region is holding decent snook but not like it did in the past. If you do target these fish, handle them as careful and as little as possible. This will ensure that the ones that survived will survive your catch. The mackerel bite has been good all summer. The bite has tapered off a little last month but should pick back up as water temperatures cool. Any of our region’s ship channels and range makers will hold fish. A Chum block and lots of live scaled sardines will keep the action lively. A 40lb Berkley Trilene fluorocarbon leader and a 1/0 long shank hook will do the trick. If water temperatures cooperate, maybe some early season king mackerel will invade the beaches and maybe make their way into our region. Wire leader is a must for these drag burners. Live sardines, threadfins, and blue runners are the best baits. First spot for early season kings is the Skyway bridge and ship channel.